For today, a number of people have expressed interest in “Bending” in Eclipse. OK: Lets take a quick look at the world of Avatar: The Last Airbender. First up, it’s pretty old. There have been a lot of prior avatars, many or most of whom – judging from the quick glimpses of the line of prior avatars – have lived to a superhumanly ripe old age. Ergo, under normal conditions, the world is pretty stable. Until the great war, things hadn’t changed all that much in a rather long time. The ability to “bend” is pretty obviously advantageous. Regardless of the variety – which “word of god” establishes are all roughly equal – you can use bending to attack, defend, escape, and accomplish a variety of tasks with an ease which non-benders will find almost impossible to equal. On top of that, people do move around. They have romances, and affairs, and one night stands. They move to places where their talents are rare – and thus more valuable. If the ability to “bend” is purely genetic, it should be all over the place – or pretty near universal. Those who have, get. Yet it does tend to run in families. Evidently either ancestry or upbringing has something to do with it. Ok, can you simply be trained to bend? Given that Katara – with very scattered and irregular training – managed to go from a kid with a knack to an expert capable of using advanced healing and bloodbending techniques inside a year, it can’t be all that horrendously difficult – even granting her enormous natural talent. 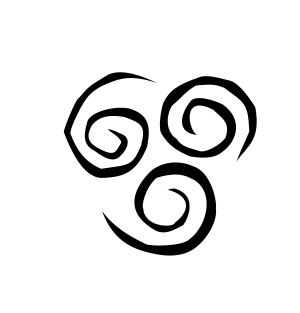 Yet most people obviously are not trained to bend – and earthbending and waterbending have a multitude of blatant uses in farming, fishing, mining, construction, and a hundred other practical fields. Firebending is – admittedly – most useful in combat and survival situations, but does have uses in crafting and around the house – while Airbending (while apparently incapable of truly large-scale weather control) would obviously be invaluable to travelers, sailors, and traders. Evidently you need some special talent to develop bending abilities, whether through (dangerous) experimentation and self-development or through more instruction. Yet – once again, per the word of god – all of the Air Nomads could use airbending, supposedly due to their spiritual enlightenment. .
On the other hand, the Aid Nomads could apparently raise all of their kids within the bounds of four (not especially enormous) temples. The water tribes also seem to be pretty underpopulated for a serious “nation”. Only the Earth and Fire nations actually seem to be big enough to be actual “nations” – and the vast majority of their populations are NOT Benders. Yet there’s no apparent reason why – if cultural conditioning is enough – they shouldn’t be. It’s advantageous, so any local cultural variations that encouraged bending ability should tend to dominate and spread. If the world is old, and culture is sufficient, we’re once again back to “bending should be virtually universal”. Evidently benders are more common in smaller populations – which would at least explain why their military potential seemed to be somewhat similar despite the various “nations” wildly varying sizes. Finally, there doesn’t seem to be any mixing. You just don’t seem to find the enclaves or ethnic neighborhoods full of water benders in earth bender territory, no matter how incredibly powerful such a synergistic arrangement would be for agricultural purposes. Like it or not, the culture that produces food and water most effectively will tend to grow and spread. You can have enclaves – like the Foggy Swamp tribe – but something is clearly preventing the various types of benders from mixing. OK; we’ve eliminate genetics, upbringing, culture, and training/knowledge. That doesn’t leave that much. In fact, that pretty much leaves us with environmental causes. What sort of environmental rules will be compatible with the stated and observed facts of the setting? It only actually takes two. What sort of Bending you get depends on where you’re born. Evidently Earthbenders are born on the big, solid, continent. Firebenders are born on volcanic islands (like those of the fire kingdom) and – perhaps – near lesser volcanoes elsewhere. Waterbenders are born on floating masses of ice (or, in the swamp, vegetation) or on board ships (a rarity). Finally, Airbenders are born high in the air or on the loftiest mountain peaks (and perhaps only four of those). As there is only one Avatar, so there are only a limited number of Benders of each type. When one dies, another will appear as soon as someone is born in an appropriate location – although a preference is given to families that already contain Benders. Local shortages – such as occurred with Katara and the South Pole Tribe – pop up when a lot of the local Benders are killed. Thus, in really large populations – such as the Earth Kingdom’s – Benders are spread relatively thinly (and so are sought after, organized, and trained as well as possible). In very small populations – such as the Air Nomads – pretty much EVERYONE will be a Bender and things can be a lot more casual. Now that explains why the various groups military potentials are similar despite their wildly varying sizes, why the fire nation wants to capture and imprison opposing benders instead of killing them, why – after what’s evidently been thousands of years – the nations have not mixed, why bending is so common in some groups and rare in others, why bending hasn’t become near-universal, and – for that matter – where the next generation of airbenders is going to come from; whoever moves into the old airbender temples will have airbender children. Now that we know how bending ability is distributed, we know how we can implement it in Eclipse d20: it’s not a “class” or learned ability. It’s simply a template that you’re born with – and which requires some (fairly minimal) training to learn to use. So what does Bending actually do? Defense covers making shields or armor, counteracting the effects of your element on yourself, and even blasting down incoming attacks (not at all easy). Earth makes great defenses; a big slab of rock is pretty protective. Water – or ice – makes decent ones, although not as good as Earth. Air can produce pressure-shields and deflect most ranged attacks, but is relatively weak against direct attacks. Fire is pretty poor at defending; most attacks will go right through fire – so the best that can be done is to try and shoot down incoming attacks. This rarely works out all that well. Blasting is pretty obvious. It’s how good an element is inflicting damage… Here Fire is king; it blasts and explodes and spreads itself around better than any other element. Earth also hammers or entraps opponents pretty well; it may not explode or spread itself, but being hit with a boulder or caught in a crevasse can really ruin your day. Waters good for knocking people around, drowning them, and entrapping them – but it dust doesn’t have the sheer impact of Fire and Earth. Air, finally, is thin and insubstantial; it can kill – but it’s a lot harder to do it with air than with any of the other elements. Usually it just knocks people around and stuns them. Movement covers how well you can boost your traveling ability and agility. Air is superb at this; it lets you run around at tremendous speed, fly long distances very quickly, make huge leaps, and otherwise bounce around like a pinball on crack. Fire can be used to blast around like a rocket or move at considerable speed – although it lacks the fine control of Air. Earth lets you move across the ground quickly, ride landslides, and even fly around on levitated earth. Water is not so good here; it helps when traveling aboard a boat, and can let you swim fast, surf around, or walk on water – but most activities take place in dry areas. Secondary powers – the things which advanced experts can use their powers for – are where things really get fun. Water is king here; not only can you work with cold, ice, snow, and body fluids, but you can manipulate plants – and you can heal injuries, which is probably THE most useful possible secondary power to be found. Now, to fit the pattern, Air should be pretty good – yet, while playing games with sound, and even minor optical tricks, are inherent in the manipulation of the air, no special air disciplines are identified in the series. Yet Aang, “The Last Airbender”, is the only fully formally trained bender who appears throughout the show; if there was some special discipline available to airbenders – which there should be if all the disciplines really are roughly equal as the authors state – why doesn’t he mention it? Perhaps because he finds it perfectly normal. All the Airbenders were supposed to be highly spiritual and aware of the spirit world – and Aang’s powers as a medium and spiritualist come in to play many times. If those abilities were a sub-discipline available to all highly-skilled Airbenders, it would go a long ways towards explaining why they were so religiously-oriented. It also makes sense from a game prospective; it gives the airbenders their own unique shtick. Firebenders can generate and direct lightning. Now, in game terms, there isn’t much difference between lightning and fire unless you’re fighting a Waterbender. On the other hand, fire is both a state of matter – a plasma – and a chemical reaction, and can also represent some control over heat. Now, the ability to manipulate chemical reactions offers a variety of interesting possibilities, such as generating “sourceless” explosions (such as “Sparky Sparky Boom Man” did), providing bursts boosts of speed and energy (with nasty side effects if you try to maintain them for long), and an assortment of alchemical and industrial applications. Earthbenders have few secondary abilities; while “metalbending” could be seen that way, it appears that metal is simply more resistant to manipulation, rather than being somehow fundamentally different from ores, metal-based clays, and the natural metals which occur as part of the planetary crust. Secondary earth powers seem to be limited to the ability to sense things touching the earth in such detail that this ability can be used as a lie detector. Apparently other forms of bending do not provide sensory functions – thus making it impossible to use airbending to sense objects displacing the air, or to detect the presence of drugs and poisons via waterbending. That pretty well covers the powers. Now, benders normally need to be free to move to use their talents, must have some of the element around to work with (generally not hard), require some (fairly minimal) training to develop their abilities, usually (although not always) use some form of martial arts to focus their powers, are affected by their emotional state, and (like any other character) can have their powers limited or enhanced by any of a variety of plot-device conditions. Most importantly from a game standpoint, they generally don’t seem to tire from using their abilities – or no more than they would from, say, fighting with a sword – unless they’re pushing themselves well beyond their normal limits. In Eclipse, “Unlimited Use” generally corresponds to either Innate Enchantment or the Path of the Dragon. In this case, the Path of the Dragon works better. That’s Shaping (6 CP), Pulse of the Dragon (6 CP), and Heart of the Dragon II (18 CP), Specialized and Corrupted for Triple Effect (produces effects of up to level three)/strictly limited to a particular element as shown above, requires gestures, requires training (at least one martial art technique in a relevant martial art per level of effect which can be produced). That’s 30 CP – in general, a +1 ECL template. Now, for relevant martial arts, I’ll stick with the ones in the basic Eclipse book. For Airbending use Wind Dance – a highly defensive, evasive, swift-moving style. For Earthbending use Adamantine Fist (Str) – a style focusing on toughness and powerful strikes. For Firebending use Crane Style Kung Fu (Str) – a style focusing on footwork and sudden blows. For Waterbending use Ghost Busting Technique – a style focusing on flowing movements and supernatural powers. There are plenty of other arts which could be substituted, but that’s an individual choice. If you want advanced powers, buy Mana with the Spell Enhancement option – which will let you pull off higher-powered stunts but not all the time – and classical combat enhancements; Improved Initiative, Block, Fortune, upgraded Martial Arts Damage, and similar boosts. That sort of thing can be built up with normal level advancement – making highly-skilled and advanced benders properly dangerous. If you want to be the Avatar, that’s more expensive. You’ll want all four bending packages (120 CP). Now you’ll want Dominion with Landrule, Spirit Speech, Manipulation, Sphere of Influence (the elemental powers), Godfire, and Divine Attribute at six character points each. That’s another 42 character points – and special permission from the game master. Don’t count on convincing him or her to let you take this; those are some of the most powerful abilities in the game. Give yourself a Duty (-3 CP) of maintaining the balance of the world. Companions, privileges, and similar items are optional; buy them normally if you want them – and if you have any points left. That comes out to 159 character points – a +5 ECL acquired template when you add it to your base race. Of course, it also means that you’re starting as a god, with potentially nigh-limitless powers (even if you do forfeit control of your character to the game master) when you enter avatar form. At the very least, I’d require that an Avatar-character limit their control over these abilities to start with. Those abilities represent Aang at the end of the series – not at the beginning. Now, I’d generally require that characters in the Avater world take the basic +1 ECL Anime Template anyway. That means that your basic Bender has a +2 ECL template, and an Avatar is at +6 ECL.